Trivandrum turns festive throughout the year. Be it religious, cultural or any other, each one has got its own space here. But as December begins, Trivandrum turns out to be the venue for a major celluloid fete every year- the International Film Festival of Kerala (IFFK). 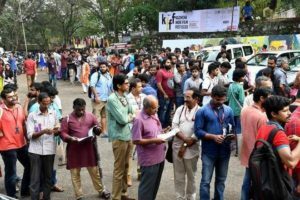 Since its inception in 1996, the International Film Festival of Kerala(IFFK), one of the country’s oldest festivals has grown into one of the most sought after events in the city. Organized by the Kerala State Chalachitra Academy on behalf of Dept. of Cultural Affairs, Govt. of Kerala, the festival usually happens in the second week of December. Over 10,000 delegates flock in for the 8-day long festival to celebrate alternate or independent cinema each year. It could be termed as an annual pilgrimage of the cinephiles. During the occasion, the city truly turns international, where one could notice people from almost every part of the world visiting Trivandrum for attending IFFK. 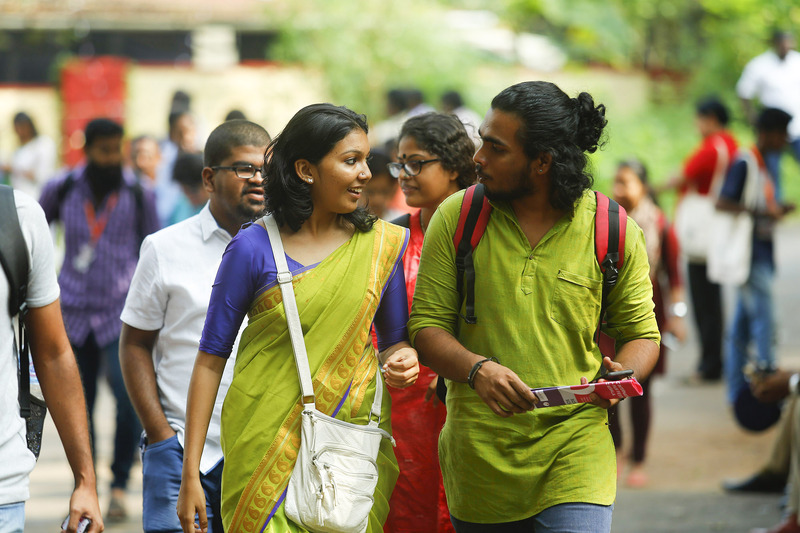 The festival serves a huge purpose of converging people of Kerala and the rest of the world under a roof, thereby diminishing all boundaries that exist. Apparently, it’s an amalgamation of various cultures. The International Film Festival of Kerala is known for its immense popularity and public participation, especially that of the youth. It’s a magnificent week-long journey where one’s priority changes to celebrating world cinema. Any cinephile would be emotionally attached to the theatre to theatre voyage after each film screenings and the annual gatherings over a cup of tea. The urge to know more about alternate cinema and the kind of filmmaking that takes place in the other parts of the world is what attracts more people to the event each year. 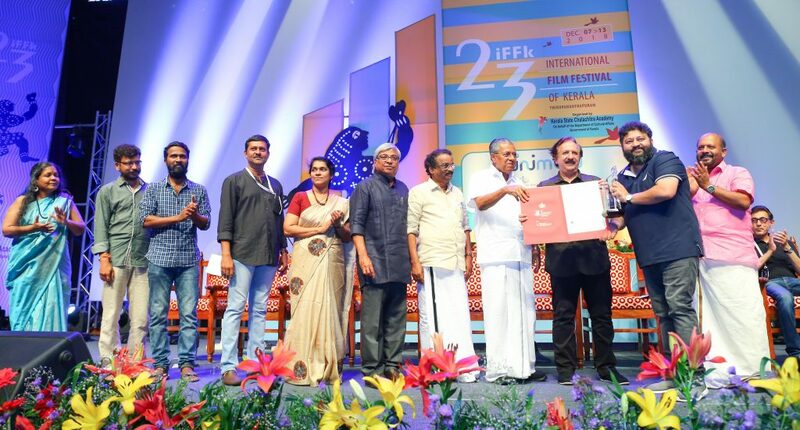 IFFK is one among the 20 festivals in the world that come under the specialized competition category. While American and European cinema dominates in most of the festivals, here, the festival’s competition section is limited to films only from Asia, Africa and Latin America, which can also be termed a political choice. Upholding the spirit of survival and rebuilding after the floods in August, the 23rd edition of the International Film Festival of Kerala was held from 7th December to 13th December 2018. Despite the delegate fee hike, the event turned out to be a huge success, with a participation of around 8000 delegates. Around 164 films from 72 countries were screened in 12 theatres. Tagore theatre in Vazhuthacaud was the main venue and the other theatres include Kairali-Nila-Sree, New, Kripa, Dhanya-Remya, Kalabhavan, Nishagandhi, and Sree Padmanabha. With no kind of compromises on the quality of the content, the festival offered a great visual experience to the audience. Internationally acclaimed and one of the widely celebrated Iranian filmmaker, Majid Majidi’s presence was one of the major attractions of the festival who also won the Lifetime Achievement award this year. The renowned filmmaker (Children of Heaven (1997), Colour of Paradise (1999)) was also the jury chairperson alongside renowned Tamil director Vetrimaaran and Adolfo Alix Jr from the Philippines. 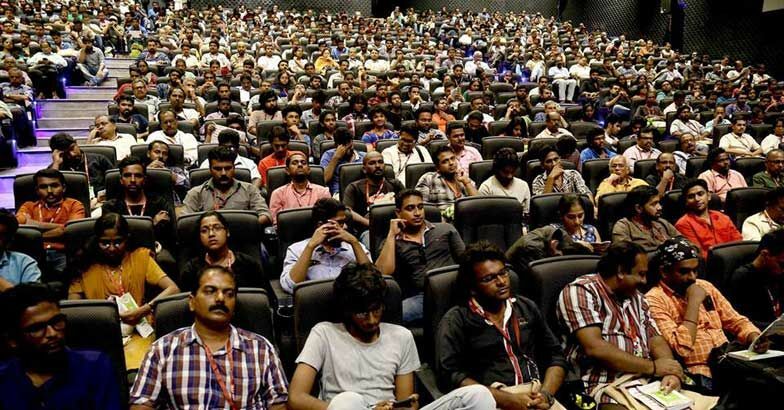 The movies were screened in 9 categories like the International Competition section(limited to films from Asia, Africa, and Latin America), Malayalam Cinema today, Indian Cinema Now, World Cinema, Celebrating Ingmar Bergman, Remembering Milos Forman and a curated section of movies from Lenin Rajendran. 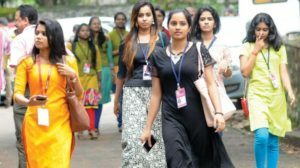 A curated section of films named Human Spirit, that dealt with themes of hope and rebuilding, was a major highlight of this year’s IFFK. The festival opened with the Spanish movie ‘Everybody Knows’ by Asghar Farhadi. 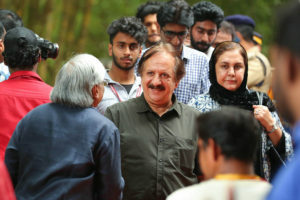 The Suvarna Chakoram for Best film was won by the Iranian movie ‘Dark Room’ directed by Rouhollah Hejazi from the International Competition category. Malayalam movie Ee. Maa. Yau by Lijo Jose Pellissery had won two awards – the Rajatha Chakoram for best director & NETPAC award for the best Asian film in competition. Malayalam movie ‘Sudani from Nigeria’ by Zakariya Mohammed had also made along with other international films in the competition section- that also won the FIPRESCI award for best Malayalam film. Movies that deal with the Israel-Palestine conflict are always a major attraction of IFFK. Two such movies named “A Tramway in Jerusalem’ by Amos Gitai and ‘Tel Aviv on Fire’ by Sameh Zoabi were screened. 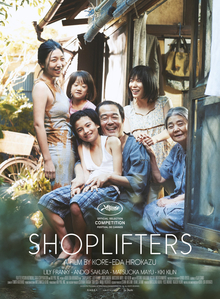 Some of the other movies that grabbed attention were the Palme d’Or winner Japanese movie ‘Shoplifters’, ‘3 Faces’ by the much celebrated Iranian filmmaker Jafar Panahi, ‘Image Book’ by Jean-Luc Godard, ‘Capernaum’-a Lebanese movie by Nadine Labaki, Korean filmmaker Kim Ki Duk’s ‘Human,Space, Time and Human’, Mexican movie Roma by Alfonso Cuaron, Iranian movie ‘The Graveless’ by Mostafa Sayari , ‘Taking the Horse to Eat Jalebis’ by Anamika Haksar- who also won the Rajata Chakoram award for best debutant director. The festival also featured a lot of films from the young filmmakers in the Malayalam Cinema today section. 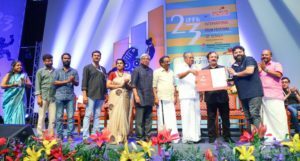 ‘Sleeplessly Yours’ by Goutham Soorya, Mayanaadhi by Aashiq Abu, Vinu AK’s Bilathikuzhal( received special jury mention) and Kottayam by Binu Bhaskar were some of the attractions. A large part of the festival’s success credit goes to the spirit of oneness and cooperation of people who were associated with the festival. A lot of people and communities deserve a special mention who offered countless voluntary contributions for the festival to take place. Due to the financial crunch, the Academy had initially planned not to release the festival book. This made Jithin K.C and a group of 15 members design and bring out the festival book without accepting any sort of remunerations.” We had designed the festival book last year too. But the academy’s initial decision to do away the festival book this year made us unite this time also for designing the festival book free of cost. We simply didn’t want to lose our festival memories for the sake of any financial difficulties “ said Jithin K.C in an interview with Mathrubhumi. 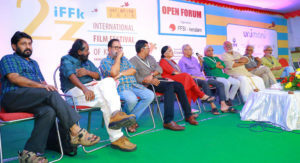 Cultural gatherings like IFFK was a show of solidarity and oneness this year. Apart from celebrating art, this year’s film festival was a triumph of Kerala society’s resilience from all sorts of calamities. It reiterates the fact that art has a big role in survival and that it is necessary for rebuilding the distressed minds of people along with the infrastructure, which would smoothen the creation of a new Kerala.